Today’s post is a double feature. The first image is a treat from home base for the next few days….the view of San Francisco Bay. 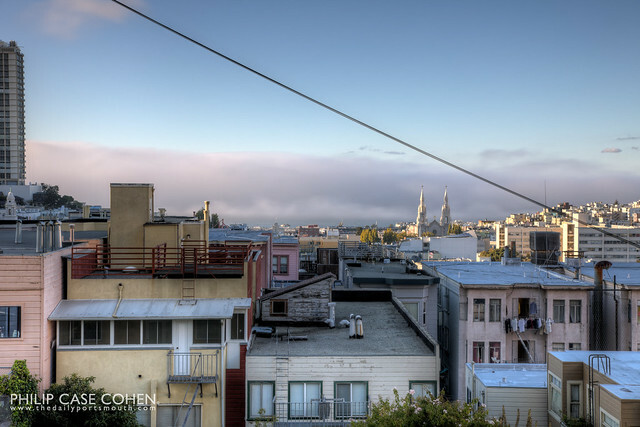 This is the fog that San Francisco is so renowned for….once it blew over, you could see Alcatraz just about dead center in the frame. I’ll try to snap a good sunset shot before we hit the road for Yellowstone. 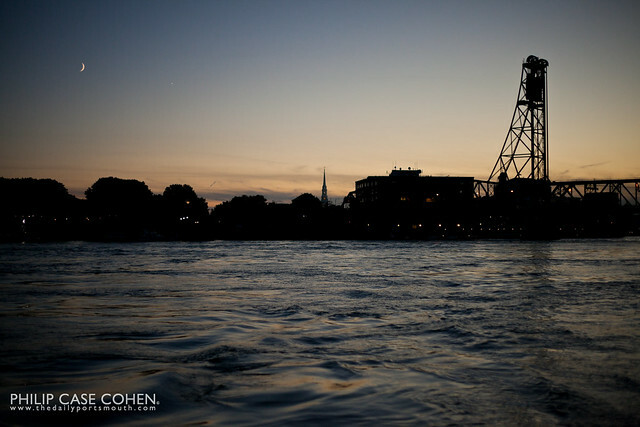 Below is a treat from a Portsmouth Harbor Cruise from the summer….what had been the sunset cruise that set sail at 7pm became more of a city lights cruise as the light had retreated as we made our way under the Memorial Bridge. I didn’t quite mind though – as there was a beautiful crescent moon and the planet Venus hanging out just to its right. This shot is one of my recent favorites – as it silhouettes two of Portsmouth’s icons under a summer sky. The Memorial Bridge and the North Church mark the city’s skyline.